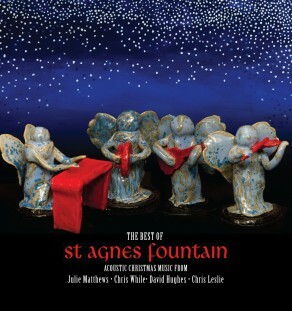 Last Christmas St Agnes Fountain completed their 12th consecutive sell-out tour. 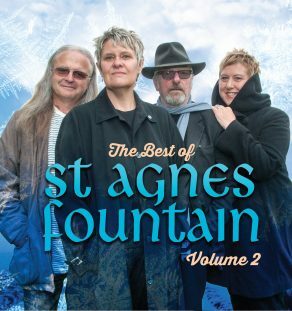 Since the band first came together in 2001, the quartet featuring founder David Hughes, Fairport Convention’s Chris Leslie and 2009’s BBC Radio 2 Folk Awards Best Duo Chris While and Julie Matthews, have brought musical invention and laughter to the star-dust atmosphere of the Christmas season. 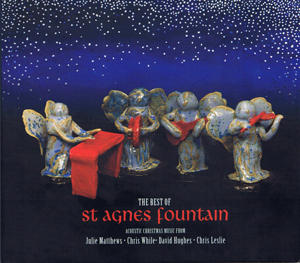 In 2011 they released a double cd Best Of album on Fat Cat Records which included new versions of classic Christmas carols, contemporary seasonal songs and original compositions.